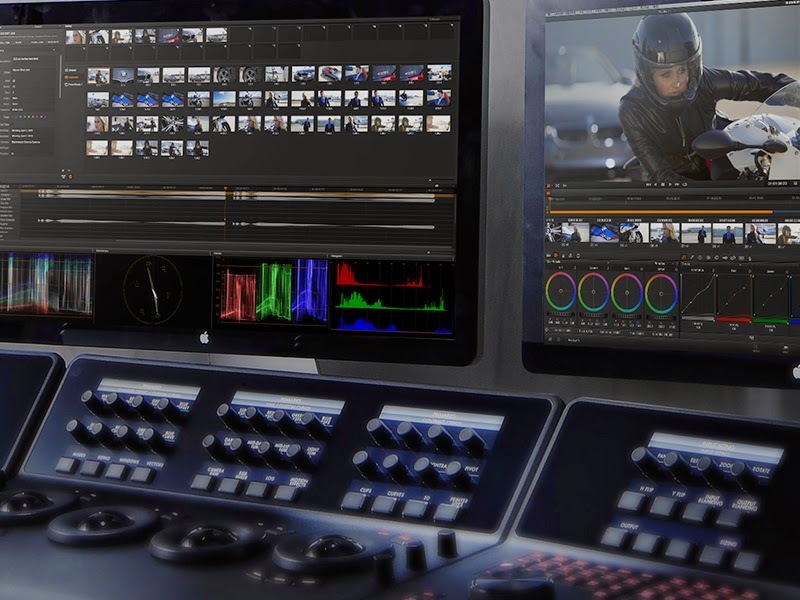 DaVinci Resolve offers a Lite version for free. For those of you in the US, happy Memorial Day. For everyone else, happy Monday as usual. In the US, Memorial day is the unofficial kick-off of the summer season. What better time to find free stuff than the unofficial start of summer. These are some of the tools I have found to be very useful of the post production workflow. Some of these tools are very sophisticated and I always wonder how they can continue to offer them as free. Avid FX Transition Templates - This is my contribution to the free stuff. An Avid bin containing transitions built using Avid FX. These transition effects are ready to go, all you need to do is drag them onto a transition in your Avid timeline and render. This download was a companion piece to the Avid FX (Boris RED) in Avid Media Composer blog. Blender - To be honest, I still haven't been able to master the use of Blender. From what I've read it is a great application to build 3D animations and on top of that, it's absolutely free. DaVinci Resolve - Although I'm an editor more than I am a colorist, I couldn't pass up the opportunity to download a free copy of DaVinci Resolve, especially after seeing DaVinci Resolve Round-trip Avid Workflow - BAVUG. You can download the Lite version for free, by going to the DaVinci Resolve webpage. Most companies offer a 30-day free trial, but the Lite version of DaVinci Resolve is free for however long you want to continue using it. Free Stock Footage - The Free HD Stock Footage group on Vimeo is one of the many places to find struck footage for free. If you do a search, you're bound to find others. Some of the other Stock Footage Websites I've come across were listed in a blog from January of 2013. Free Transcriptions - If you upload a video to YouTube and then choose the Captions tab, YouTube will do its best to transcribe whatever is spoken in the video. The caption can then be downloaded and cleaned up. Like most applications that convert speech to text, the results vary depending upon how clearly the content of the video is spoken. For all of you in the northern hemisphere, enjoy the unofficial start of summer. I hope these links are useful. As usual, if you have any other resources that I have missed, feel free to share them.